Students are encouraged to bike or walk to school on May 9. Parents are encouraged to accompany their children to school, and to work with their school and PTA or PTO to assemble bike trains or walking groups for the event. Schools that are launching a schoolwide effort to participate can register online at http://www.walkbiketoschool.org/. Fairfax County Public Schools (FCPS) School Board chair Janie Strauss and Fairfax County Board of Supervisors chair Sharon Bulova are joining forces to encourage county residents to participate in National Bike to School Day. “Increased physical activity is something we all should strive for,” said Strauss. “Using an alternative method of traveling to school will help meet that goal while reducing vehicular traffic on county roads.” Adds Bulova, “Bicycling is not only a great way to exercise, but an efficient mode of transportation. I encourage Fairfax County students to take this opportunity to learn bike safety, find the best route to school, and enjoy the trip." Marshall Road Elementary School is one of several Fairfax County public schools that have recently adopted the Safe Routes to School program and have initiated a bike train. 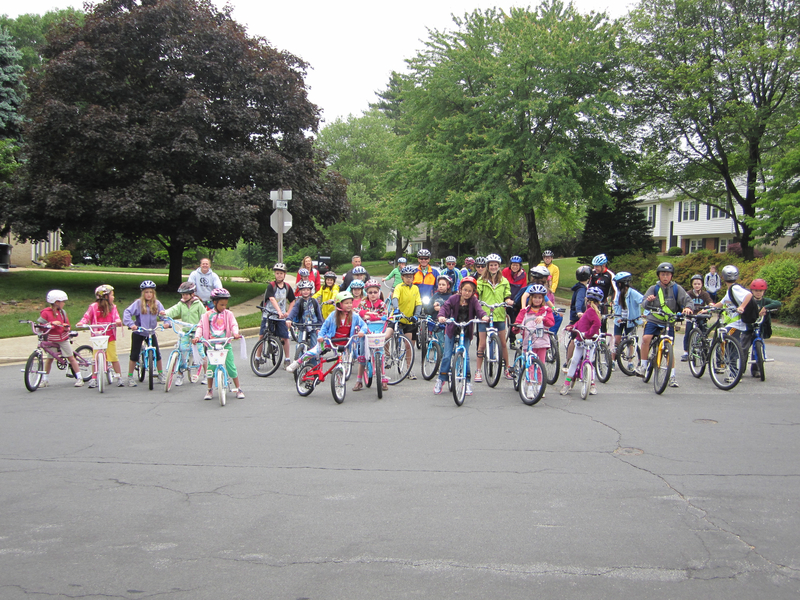 With the assistance and encouragement of the school administration and PTA, students from Marshall Road will be biking to the school on May 9 as part of the national event. In addition, Marshall Road Elementary students will be participating in the Vienna Bike Walk Challenge during the week of May 14- 18 along with students from Vienna Elementary, Louise Archer Elementary, Cunningham Park Elementary, and Wolftrap Elementary Schools. The Fairfax County Police Department plans to have patrol officers on the roads on May 9, and motorists are urged to be vigilant of bikers and pedestrians on National Bike to School Day. Additional information about FCPS and National Bike to School Day can be found at http://www.fcps.edu/news/walktoschool.shtml. We're glad to have Marshall Road ES be a part of this event. I'm leading our first ever bike train (rescheduled from Monday) tomorrow, and we're looking forward to filling up our new bike racks!